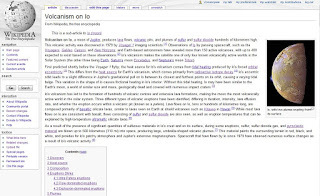 The wikipedia article, Volcanism on Io, has been submitted as a Featured Article candidate, Wikipedia's mechanism for highlighting the website's best content. Please feel free to check out the article and submitting a review to the FAC. The article has drastically improved over the last few weeks, with improved references and manual of style fixes.